A new survey finds Kiwi job candidates who know less about artificial intelligence and automation are more likely to have a negative outlook of these technologies. Employees generally consider AI a threat rather than an opportunity, with only 35 per cent of those surveyed excited about the future of AI in the workplace, says Grant Wright, director of AI and platform services at SEEK ANZ. “AI is a very broad term that is not widely understood, and our research shows that those who understand more about AI and automation have a far more positive outlook on how technology will impact the workplace in the future,” says Wright. SEEK says 4000 Kiwis participated in the survey, which was conducted by Nature. If AI can solve problems faster than humans, does this mean ‘game over’ for humans? The survey finds nearly a quarter (24 per cent) of respondents do not know anything about AI, while 14 per cent do not know anything about automation. About a fifth of respondents (19 per cent) know quite a lot about AI, with 27 per cent stating they know a lot about automation. While the respondents know there will be positive impacts of AI and automation, 57 per cent say it is important to limit how far organisations can go with advances in AI at work. It is important for organisations to communicate their 'vision' for AI to staff or where they want their company to go. “This may help alleviate fears of AI 'going too far',” says SEEK. Wright, meanwhile, shares how organisations can prepare for the changes ahead. First, he says, senior leaders need to ensure they have a clear understanding of the real world use cases AI and automation can bring to their organisation and the level of investment required to be successful. How staff will be supported and kept informed through any change. 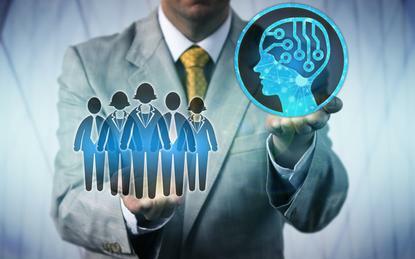 Amidst these concerns on how AI will impact the workforce, analyst firm Gartner sees the technology as a “positive net job motivator”. AI will help create 2.3 million jobs while eliminating 1.8 million jobs in 2020, although new types of skills will be needed, Gartner says in a recent report. Longer-term, the job losses will mainly be in the middle skilled jobs, or those in which training is received “on the job”. Gartner is thus calling on technology strategic planners to ensure that development of AI products and services are small, focused and targeted. Forrester, on the other hand, notes that leading organisations will use automation to address talent scarcity. 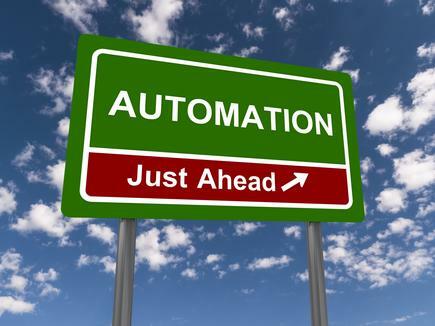 In its 2019 Predictions, Forrester says organisations will give up on waiting for expertise and use automation to free up time, headspace and funds to develop the needed skills. It further predicts that this year, talent leaders will start programmes centred on a robotics quotient (RQ). The latter will become a core learning and measurement fundamental for employees who direct or work alongside digital workers.